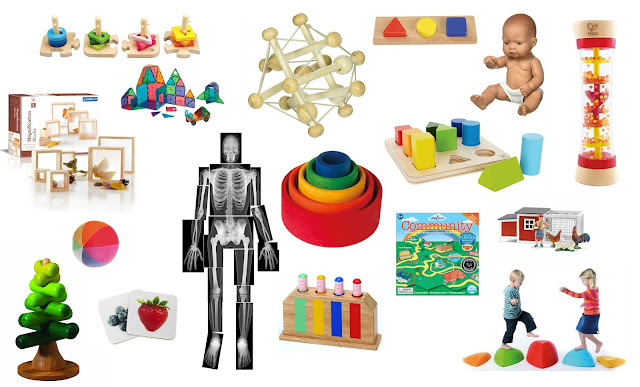 There are so many amazing Montessori baby toys and play ideas out there. With so many choices, and a brand new baby, it can be difficult to decide when to introduce what. So, I thought I would create a visual timeline for Montessori friendly play for the first year of life! This is the first post in a series of posts, broken up in 3 month sections. Below the timeline are some resources to learn more about each of these materials. Now, this is just one possible way to introduce Montessori materials to your baby. You do not need everything on this list, and your baby might not enjoy everything on these lists at the exact time listed. These are approximate and will change slightly based on each individual child! Use this as a guide and not a strict schedule! This is also not meant to include EVERYTHING a baby could use at this time. It gives you a general idea of the types of things a baby might enjoy at this time, but not necessarily a comprehensive list of everything available. 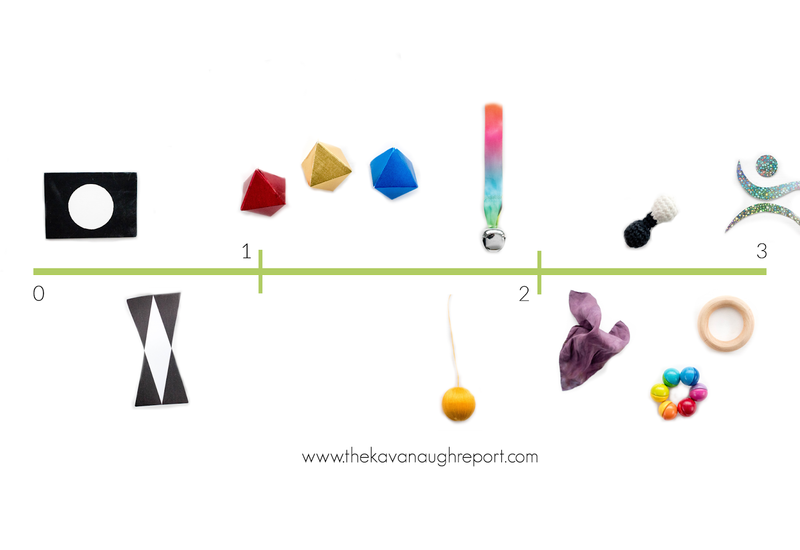 Here's a look at Montessori friendly play from birth to 3 months! These can start at birth, and can take a variety of forms. They are an easy DIY, or can be purchased. These are placed at baby's level when baby is awake and alert. 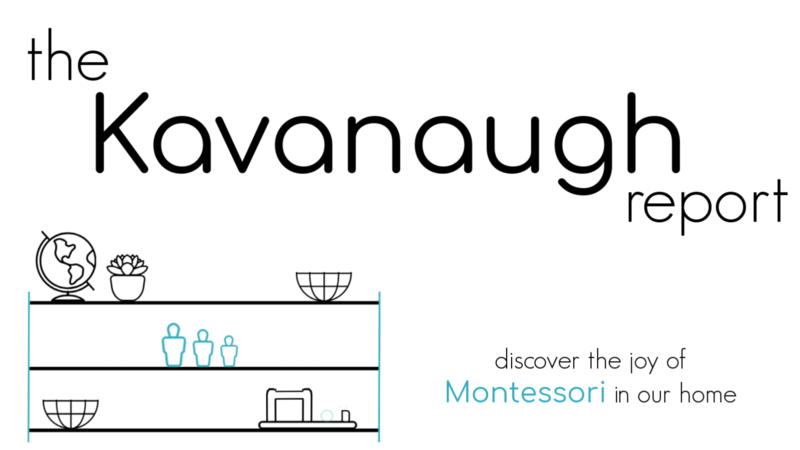 The Munari is a traditional Montessori choice. But, other high contrast mobiles have also been popular with my babies. These start a week or two after birth when baby is fed, comfy, and awake. Another traditional Montessori choice and my personal favorite mobile. This is also an easy DIY and was very popular with my babies. This can be introduced around 4 weeks. The Gobbi is another traditional Montessori mobile used before a baby has much control over his/her movements. It continues to strengthen visual perception and concentration skills. This can be introduced around 6 to 7 weeks. The example is a bell on a ribbon which moves as a baby voluntarily or involuntarily bats at the mobile. This could also be done with a small ball, or other hanging object - preferably something to bat at, and something that makes a sound when it moves. This is a perfect first grasping toy since it's easy to get a hold of, no matter how it is approached. This can be done with play silks, washcloths, baby paper, or any available (mouthing safe) fabric. Simple objects for your baby to grab a hold of can be introduced as your baby's grip matures. These should be kept simple and light so baby can be successful. They can also include a simple noise to help baby connect the motion with a sound. A progression of tactile mobiles, you can add more complex objects for looking at/batting at/ kicking. These movements still might not be super purposeful, but it adds a new layer for your baby as he/she develops control over his/her body. Thicker and heavier rings and rattles can be introduced as a baby's grasp matures. These may or may not include sound and are often brought to the mouth with one or both hands. The dancers mobile is another of the traditional Montessori visual mobiles. It introduces more complex shapes and movement to the mobiles. It can easily be DIYed. And, there you have it! 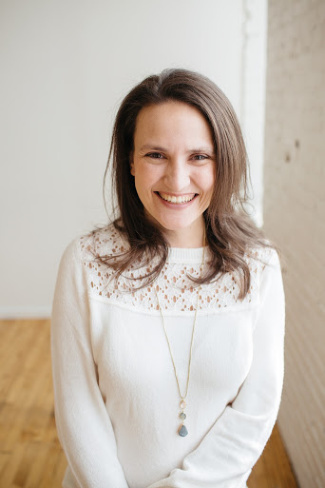 An overview of Montessori newborns. Playtime at this age is limited because cuddling/sleeping/feeding takes so much time. 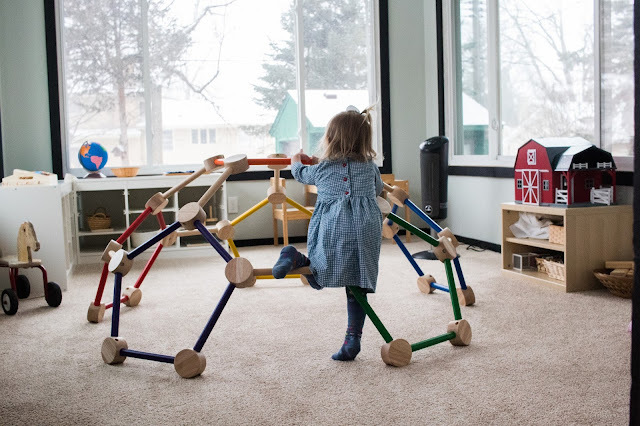 But, there are simple ways to incorporate Montessori play from birth! Did/does your newborn enjoy these materials? Anything you would add? Love this series! Thank you for making it! And perfect timing as we prepare for our first baby coming in May!